Several names are still under consideration for Toyota’s new sports car. The wait for the reborn Toyota Supra has been agonizing. We were convinced that Toyota’s new sports car would debut at this year’s Tokyo Motor Show, but it was conspicuously absent. Since then, there’s been no indication when the production model will break cover despite several recent sightings of prototypes being tested. A prototype was which suggests its reveal shouldn’t be too far away. However, it turns out that Toyota’s highly anticipated sports car may not even called the Supra. Speaking to at the 2017 LA Auto Show, Toyota’s group vice president and general manager Jack Hollis revealed that the Supra name isn’t set in stone. “Yes, we have other ideas, and yes, the Supra name is in consideration,” he said. “I think that there is some discussion because the heritage of Supra is so strong." The name decision will not be made until next year as well. There are some other candidates for some other reasons that are really pretty strong.” Looking back at Toyota’s sports car heritage opens up a list of possible names that could be revived such as the 2000GT, Sports 800, MR2. 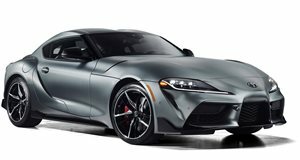 Toyota may not have decided what to name its new sports car yet, but Hollis admitted that Supra is still a “leading candidate.” With the name still not finalized, it comes as no surprise that Toyota also hasn’t decided on a release date for the new sports car. Hollis told that the release date is “fluctuating” and that Toyota doesn’t “even have necessarily a two-to-three-month window.” More concrete information will be shared next year, however. So far we know that BMW is co-developing the unnamed sports car with Toyota in a joint venture with the new Z4. Rumors suggest it could pack a turbocharged 2.0-liter inline-four cylinder engine that produces 350 horsepower with hybrid assistance. Nothing is official yet, however. Conflicting reports have also sparked speculation about whether or not it will feature a manual gearbox.The new Supra, or whatever it ends up being called, may not even have a Toyota badge, either. As we previously reported, it may launch under the Gazoo Racing performance sub-brand to distinguish it from Toyota’s family-friendly cars. 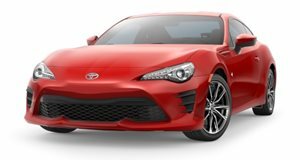 Not naming the new sports car after the iconic Supra would be a strange move on Toyota’s part – unless of course the automaker isn’t confident it can live up to the original's legacy. With Scion out of the picture, maybe this car can succeed. This car won't truly be appreciated until long after it's gone.